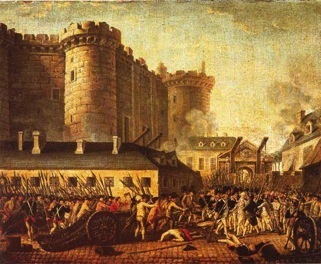 The Bastille has always been a populist, working-class area, in keeping with its inception as the site of the legendary storming of the Bastille prison by the masses of proletariats during the French Revolution. The Place de la Bastille, like its sister to the north the Place de la Republique, is a rather charmless and overpopulated hub. However, there are a multitude of fascinating hot spots both north and east of the Bastille. To the east lie the arty enclaves clustered around the Metro stations Faidherbe-Chaligny and Charonne. This was once Paris's furniture-making capital, and there are still many of the original ateliers. To the north are established hipster havens around the Oberkampf Metro station and developing areas like that around the Parmentier station. Despite possible appearances, especially on a sunny Sunday afternoon, the 11th is great for more than just eating and drinking. Fashion has trickled in but remains a low-key, downtown affair, thankfully devoid of most of the big names that occupy the more established shopping districts. The best shopping in the 11th is still the territory of original designers who have chosen to strike out on their own.